What happens when the government changes its mind about an existing law but new law has not yet been enacted? Easy, really. You have to follow the old law, whatever the government may currently think about it. But it gets more complicated when the area of law, like planning, has a wide area of policy-making and policy-following built into it. So now we have old law, and new policy announced but no new law yet to underpin that policy other than in the broadest sense. This problem arose in the Cala Homes cases, the second of which reached decision in the Court of Appeal last week. Recent legislation had set up a new plan-making process by way of “regional strategies”, interposed between central government policies and the Local Planning Authorities who make their own development plans and determine their own applications. It proved controversial, and within weeks of the election, DCLG, the government department responsible for planning said its piece. It circulated a letter of May 27 announcing the abolition of regional strategies, revoking all existing strategies and stating that this announcement should be regarded as a material planning consideration by all LPAs. Cala Homes successfully challenged this decision; in November 2010 Sales J ruled that not only could the section used for blanket revocation of these strategies could not be used for that purpose, but also DCLG had omitted to note that the proposed changes needed to undergo an assessment under the Strategic Environmental Assessment Directive. DCLG’s next move, swiftly made, was somewhat subtler. On 10 November 2010, the day of Sales J’s adverse judgment, DCLG wrote to all the LPAs telling them of a proposed clause in a soon-to-be-drafted Localism Bill abolishing regional strategies; it continued to refer back to the May letter and its reference to this intention being a material planning consideration. The need for SEA was to be compled with as the Bill moved through Parliament. Unsurprisingly, DCLG were met with a further challenge by Cala Homes. Note that the hard-edged proposals of the 27 May letter had been watered down into the change of policy being just billed as a material planning consideration. So Cala said in their second challenge that the intention of abolishing regional strategies could not as a matter of law amount to a material planning consideration. One sees their point. Central government was tipping the wink to the decision-makers; the underlying message was exactly the same as the unlawful May letter but using kid gloves than the initial dirigiste diktat. Yet showing that the change of policy was immaterial and hence an irrelevant planning consideration proved too much for Cala, both at first instance and in the Court of Appeal. The issue came down to the traditional public law Padfield principles: see Rosalind English’s recent post for application of this principle by the Supreme Court, but in short, this dictates that DCLG and the local planners must exercise any discretions so as to promote, and not to run counter to, the policy and objects of the legislation conferring the discretion. Cala said that, given that regional strategies were still embedded in the law, how could it be within the scope of that law that regional strategies be abolished. The Court’s answer was that the legislation in play was not simply that concerned with the making of regional strategies and the development plans of which they form a part; it also required planners to have regard to other material planning considerations, and the potential change in the law was an instance of those wider considerations. On proper analysis, the Court said that the DCLG letter did not go too far in simply pointing out that the proposed abolition of the strategies was a relevant consideration; it did not tell planners to ignore such strategies as were in place. Perhaps the most interesting part of the judgment (unless you are a died-in-the-wool planner lit up by the intricacies of development plan-making powers) is Sullivan LJ’s consideration of a point which he himself raised. Was it irrational for a decision-maker to take into account potential abolition of these strategies because to do so would involve prejudging (a) Parliament’s acceptance of the proposal; and (b) the outcome of the Stategic Environmental Assessment? Because to do that would involve the “questioning of Parliament” hence straying into areas covered by Parliamental privilege. This is the other side of the compact between the courts/tribunals and Parliament which has been sorely tested by recent (ab)uses of parliamentary privilege. It has been much talked about recently, but where does it come from? 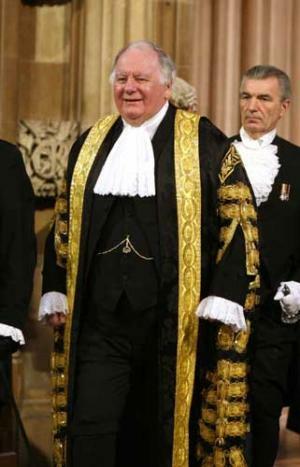 Sullivan LJ decided that the answer to his own question was that it was not wrong for a decision-maker to bear in mind the possibility that the law might change, although it would offend against the principle if the decision-maker considered in any detail what Parliament’s response to the Government’s proposal might be. This must be right. It may be a bit presumptuous to give too much weight to a possible change in law very early on in the legislative process, but as the Localism Bill progresses, there may come a time when it may be equally unrealistic for planners to make decisions with long-term consequences without at least acknowledging the possibility that the law might be different in, say, 6 months time. This had been argued in the Administrative Court in Open Court at the Directions Hearing. 3. There are other Judgments given in the United Kingdom where the Court of Appeal has given a ruling as with regards to breaches of Article 8 and 14 of the Convention Treaties. Stretch Versus The United Kingdom. 5. There is a Judgment given in the Court of Appeal of Dunoon Developments Ltd Versus The Secretary of State and Poole District Council which was decided in the year 1992.
and The Crown Courts in the United Kingdom should be renamed or called as The High Court of Justice which should have Jurisdiction Power to deal with both Civil, Criminal and Convention Treaties. Section 54 and 55 of the Access to Justice Act 1999 should be repealed, because there is Section 41 (2) (5) of the Criminal Justice and Police Act 2001. The Localism Bill which does repeal many other Acts, it is going to cause more expenses on the CITIZENS when Legal Aid Funding has been abolished for Business Purposes, as they should provide Legal Funding that any Person can be represented by a Barrister or Solicitor of his own selection where the High Court Judge should make an Order.